It’s time to tie your apron and get ready to test your cooking time management skills in this cooking madness. 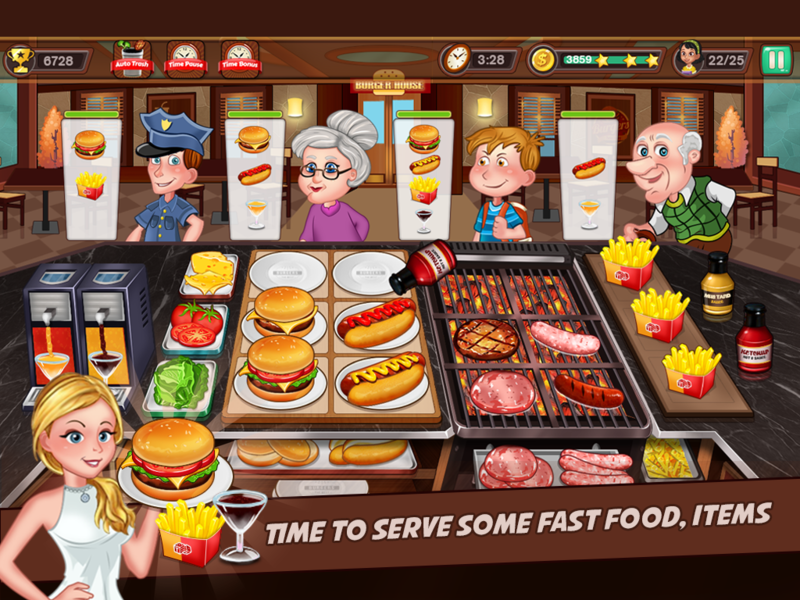 Play as a crazy chef inside a restaurant and be the master cook chef to prepare fast food orders for a rush of customers. 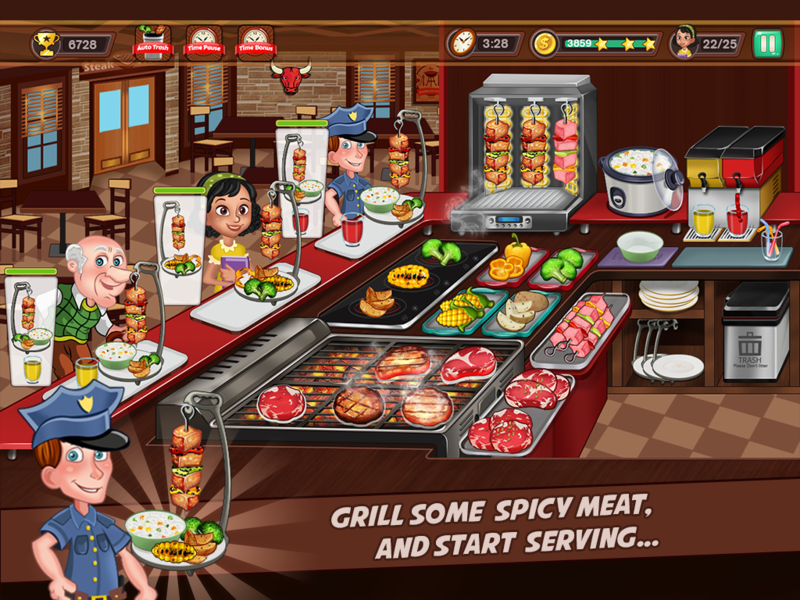 Enjoy the addictive time management game where you cook delicious meals, vegetables, stakes, meat and much more to a rush of diners. Don’t let the diner get angry at their food orders. 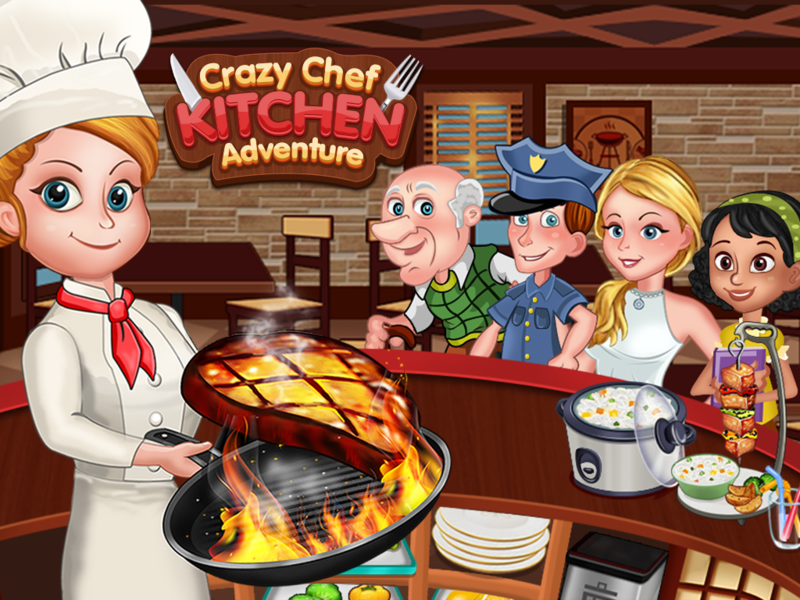 Play as the crazy cooking chef to enjoy the real cooking game adventure to serve a rush of hungry customers. This is the opportunity to acclaim yourself as the master cook. Have fun as cooking chef to prepare orders fast. 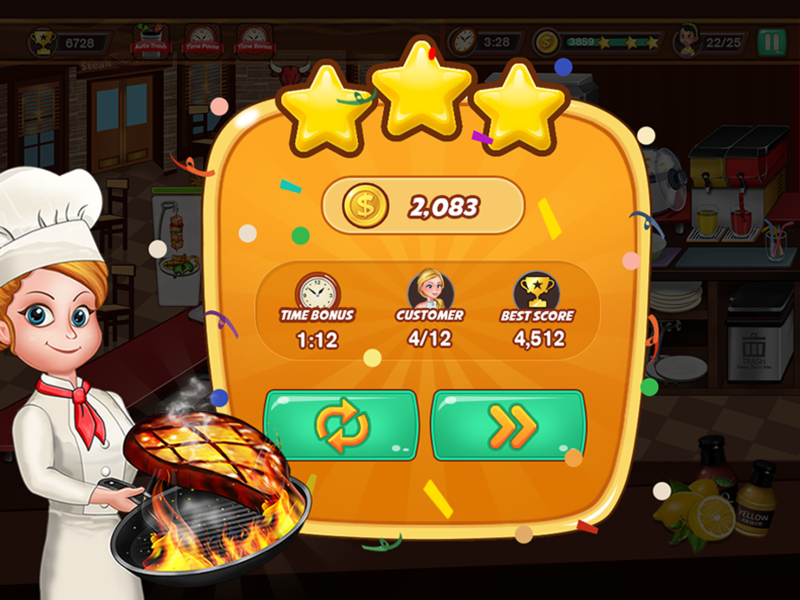 The fast paced time management game will bring out your fever to cook as the crazy chef. Time management, accuracy, fast paced order serving and delicious breakfast cooking. 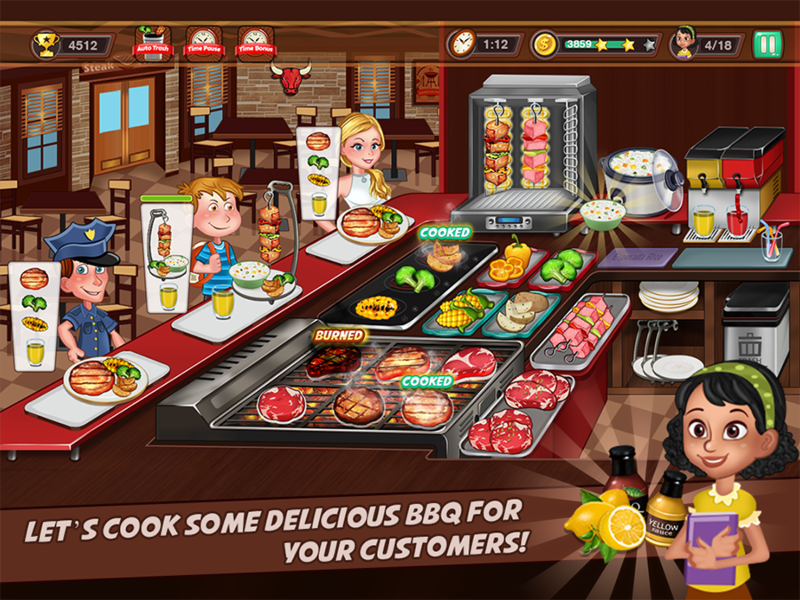 The gameplay revolves inside a kitchen filled with multiple items to test your cooking skills. Compete against top crazy chef of the world to let the customers enjoy your delicious cuisines. The fever to cook is back now! 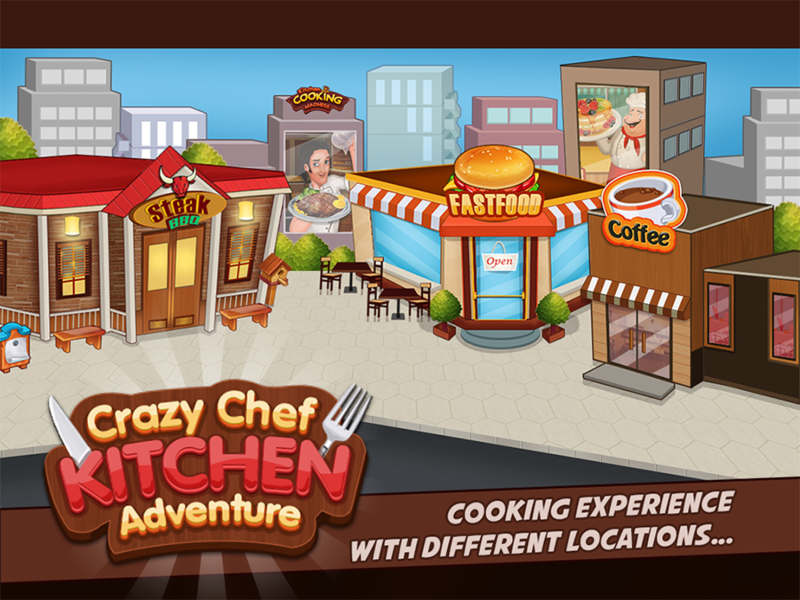 Challenge other crazy chef all over the world to set high scores. Build your career as the perfect cooking chef inside the luxury kitchen and serve hungry customers. Give them complimentary juices or may be a cup of coffee. Do you have what it takes to be the cooking chef master? Serve meals in breakfast, lunch and dinner to the hungry diners. Portray your skills as the kitchen cooking chef in this additive time management game with fast paced cooking management. Cook, serve and Enjoy kitchen adventure.